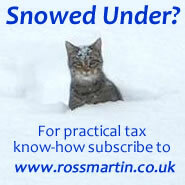 Form P11D and P11D(b) filing deadline is 6 July following tax year. Payment date of Class 1 A NIC is due by 19 July following the tax year (22 July if paid electronically) unless the business ceased before. If business ceases, due 14 days after the end of the final tax month of trading. Form P46 (Car) is a separate form and is filed quarterly. Form P11D(b): £100 per every 50 employees (or part of 50) per month or part month. Form P11D: Completion is required by an employer if it reimburses an employee with any expenses that are not covered by an exemption (or prior to 2016 a PAYE dispensation) , and in respect of any taxable benefits made available to an employee by the employer or via a third party, during the course of the tax year. Form P11D(b): the Return of the Employer's Class 1A National Insurance contributions due on the taxable benefits and expenses declared on its employee's P11Ds. Employers are required to provide all of their employees (and former employees if requested) with a completed form P11D which shows the cash equivalent of all benefits in kind and expense payments made to each employee who earns £8,500 or more a year including benefits. A P11D will be required for any director unless he meets certain qualifying conditions. The P11D and P11D(b) forms can be completed and submitted together by post or online. When the employer is not required to complete any P11Ds it ticks a box on form P35 to confirm this. A penalty may lead to increased ‘risk profile’; late payment or late submission may contribute to the loss of gross payment status for CIS. Failure to submit form P11D(b) by the 6 July deadline will produce a penalty of £100 per every 50 employees (or part of 50) per month, or part month until payment. P11D errors are easily made on P11D forms as a result of the mass of data required in preparation. Penalties for errors made on the P11D and P11D(b) forms, whether resulting in a loss of tax or Class 1A NICs are levied as for other errors in returns and documents. The same penalties also apply to amounts overdue in PAYE settlement agreements. A penalty will not be charged if HMRC agrees that there is a reasonable excuse for the payment being late and payment was subsequently made as soon as was reasonable after the reason for lateness ended. ‘Reasonable’ will differ from business to business depending upon the individual circumstances but will normally be an unpredictable event. Statutory Interest on late payment is charged on payments received after the due date of 19 July (22 July if paid electronically) following the end of the tax year. Implementation of interest harmonisation is to take place over a period of time enabling HMRC’s computer upgrade in stages. When a business ceases, Class 1A contributions may be due earlier than the normal 19 July payment deadline. Payment of all outstanding PAYE tax and NICs (including Class 1A NIC payments) is required within 14 days (17 days if paid electronically) of the end of the last tax month (or quarter if the usual in-year payment date was quarterly) in which final payments of ‘general earnings’ are made to an employee (Regulation 73(4) Social Security Regulations 2001). Depending upon the circumstances this could be some time before (or even after) the date of cessation for trading purposes. The forms are submitted in-year rather than waiting for the year end. Interest on Class 1A NIC:- Regulation 76 Social Security (Contributions) Regulations 2001. “Penalties for failure to make returns” see Schedule 55 of the 2009 Finance Act.